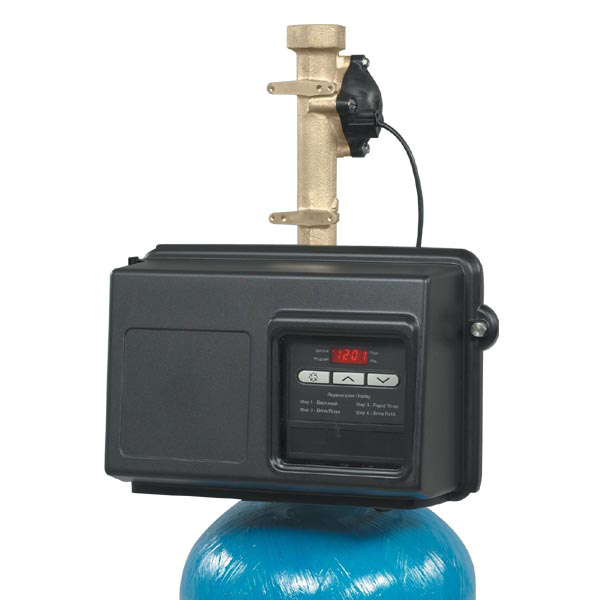 Hard water contains dissolved minerals in the form of Calcium (Ca), Magnesium (Mg), and Iron (Fe). 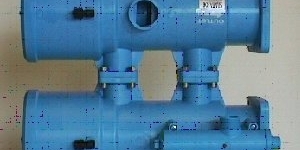 Removal of these minerals is accomplished by softening water through an iron exchange process. As water flows through the mineral tank, the dissolved minerals become attached to the resin. 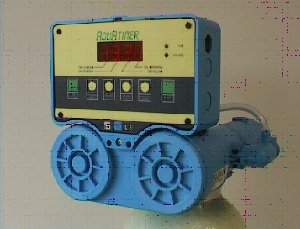 Over a period of time the resin will become exhausted, and the softener will be regenerated using a brine solution. 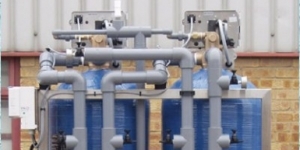 During the regeneration the hard metal ions are then released from the resin and replaced again with those of sodium from the brine. 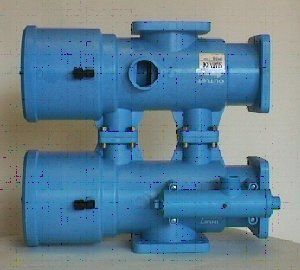 The unwanted ions are flushed to the drain along with the excess brine. 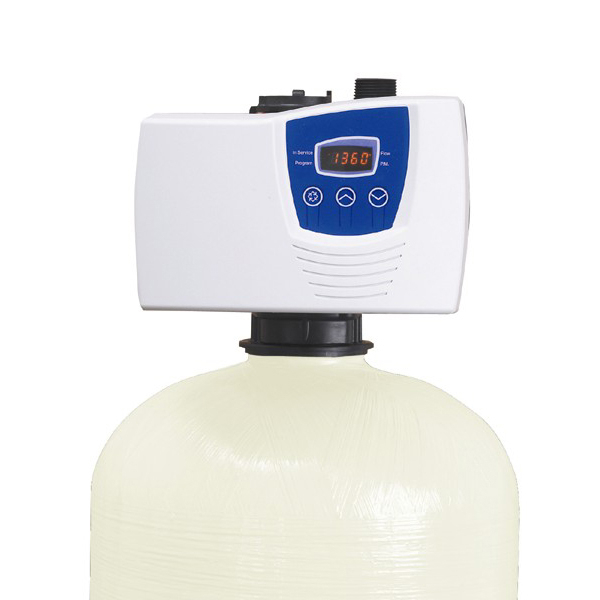 Regeneration takes between 60 and 180 minutes depending on the size of the water softener, and can be repeated as often as necessary. 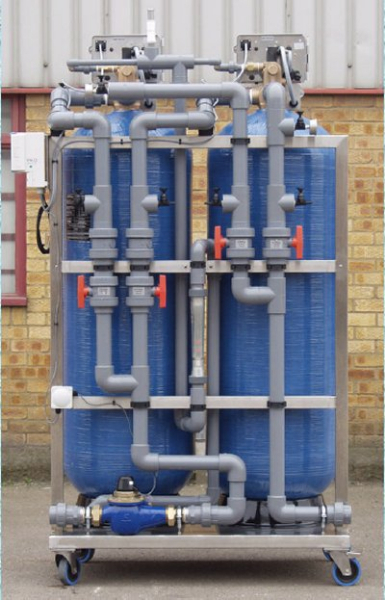 Simplex or single column commercial water softeners are best suited to steady demand applications of moderate total water consumption. 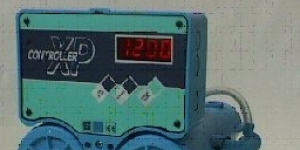 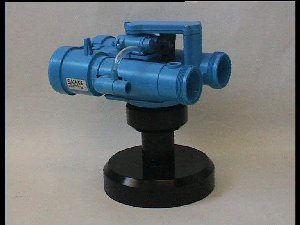 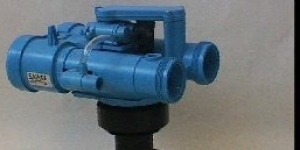 Regeneration is controlled by the multi-port valve head assembly. 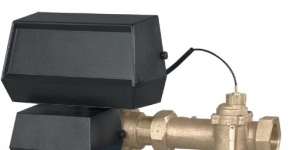 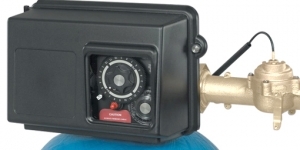 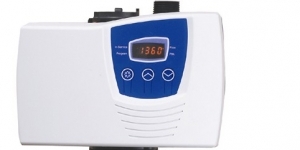 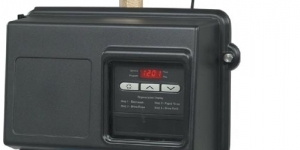 Time clock and delayed regeneration meter controlled water softeners are normally programmed to regenerate at 2.00 AM or at a convenient period of low water use. 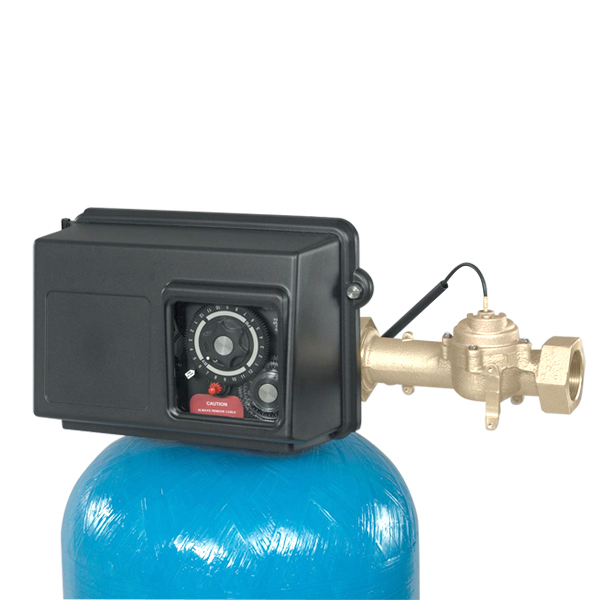 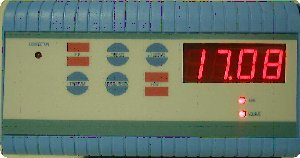 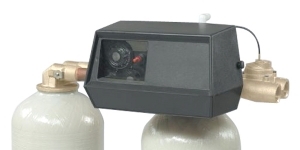 Immediate regeneration meter controlled water softeners regenerate the resin column as soon as the water meter zero out. 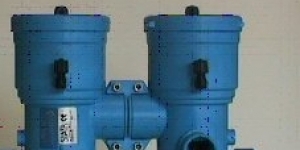 During regeneration the single column control valves will bypass hard water to service unless a bypass close down facility is specified. 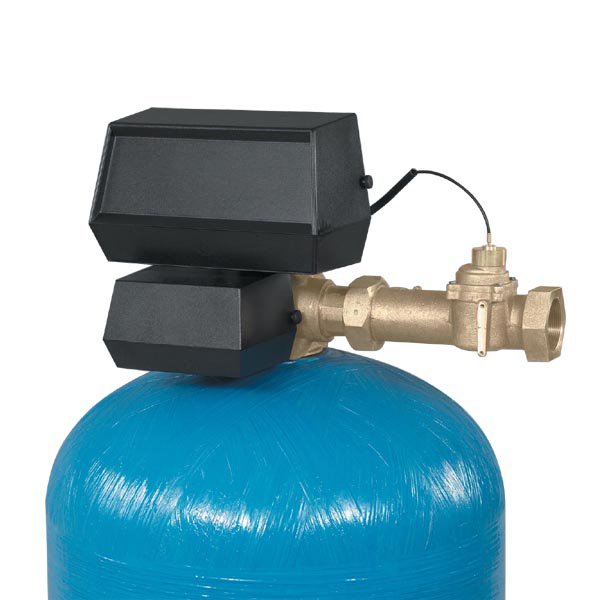 Generally, simplex water softeners will need to be seized to give at least one day’s softened water output before regeneration. 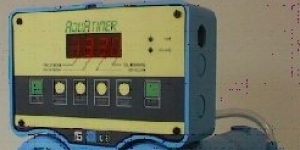 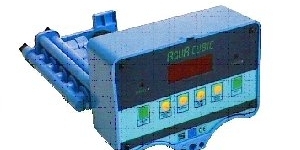 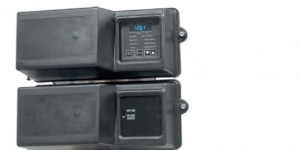 On single column simplex units we offer a choice of timer or meter control to give the best performance in every case. 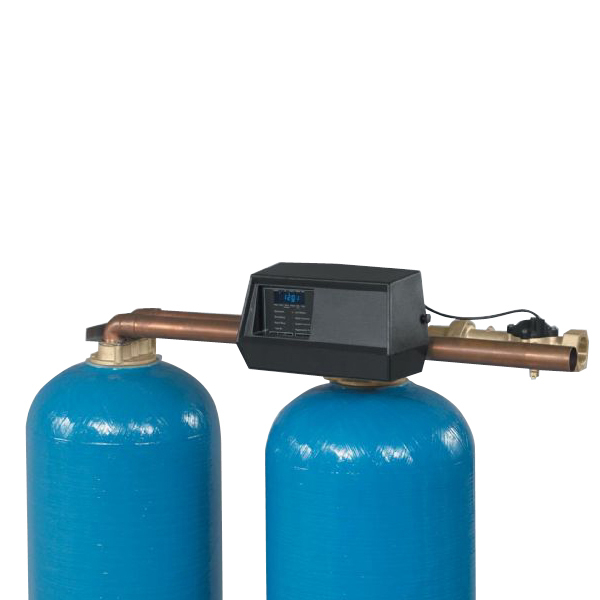 Duplex twin tank water softeners give a continuous supply of softened water. 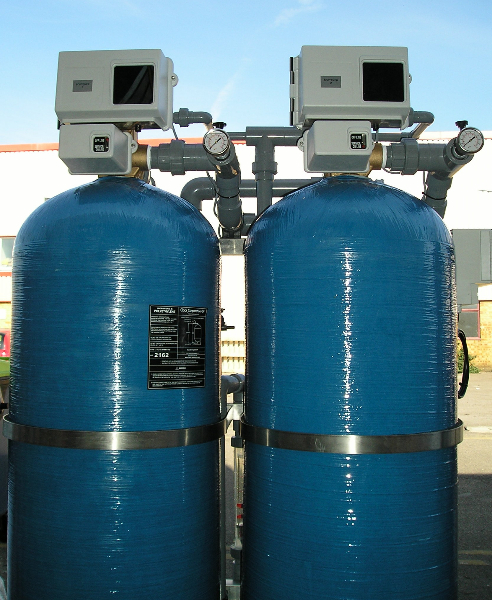 Duplex twin tank water softening systems use two resin columns, one is service, the second on standby. 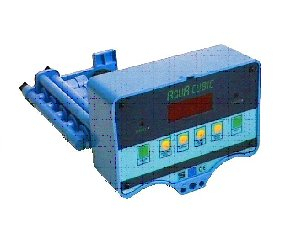 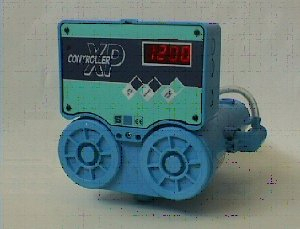 The water flows to service is metered and when the service column is exhausted, the control valve automatically switches, putting the second unit on line. 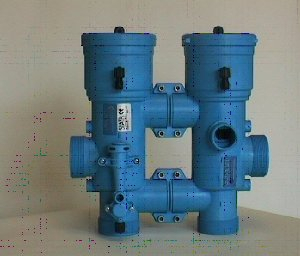 The exhausted resin in the first column is then regenerated and remains on standby until the second column is exhausted, when the valve switches back to the first column again. 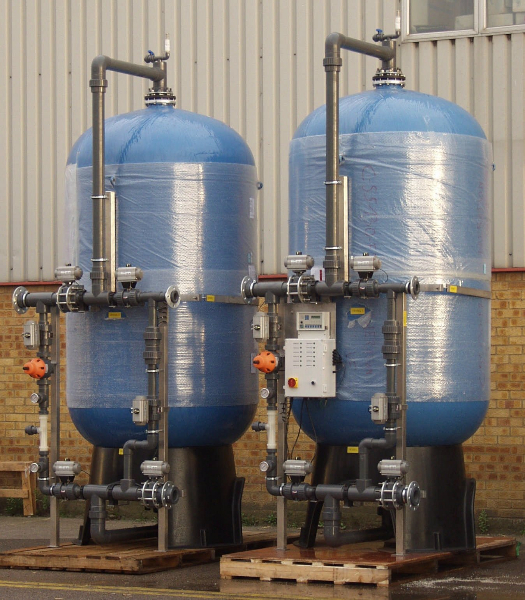 Duplex twin tank water softeners are ideal for sites with varying water demand, or for applications where a continuous and UN-interrupted supply of softened water is needed. 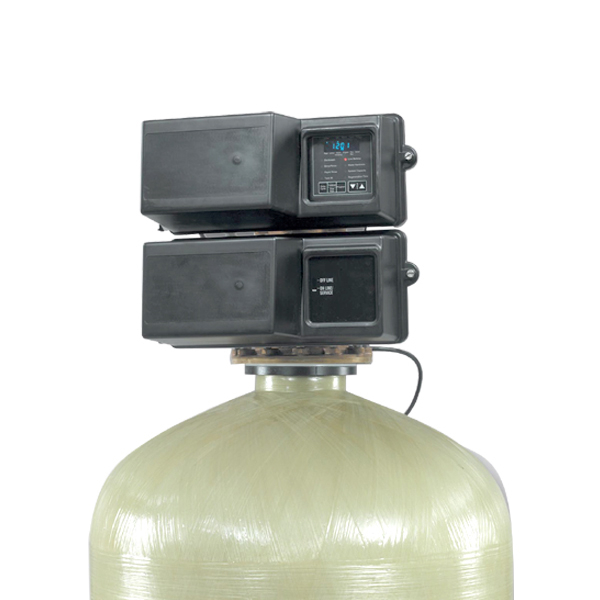 Duplex twin tank water softeners are normally sized to give one regeneration per column per day, but each column can be regenerated more frequently if required. 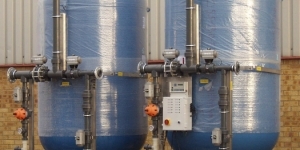 This is a selection of Commercial water softeners most often used in the water treatment industry. 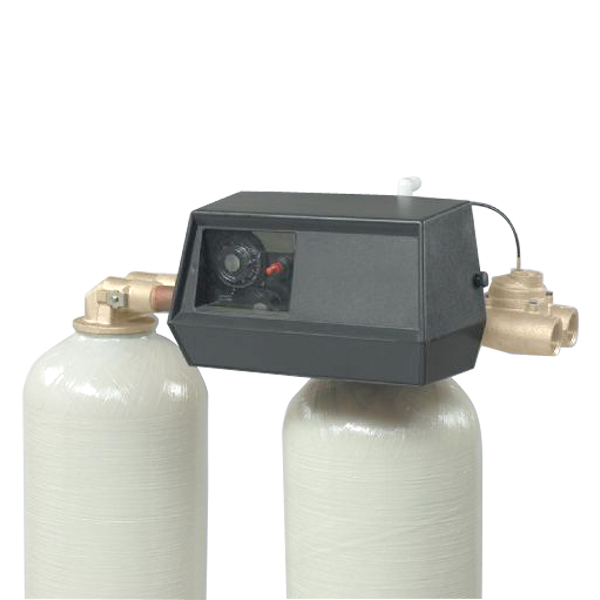 This is a video about how the water softener process works, I think it is a very good example.